My poor kitty has been almost eaten alive! 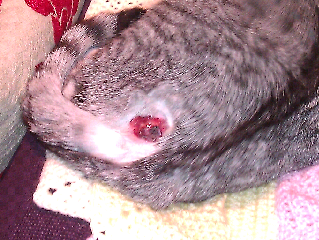 Massive infected cat bite by the base of her tail. She's very poorly with it. Vet had to shave away a big load of beautiful silver fur to clean it all up today. Get well soon girlie!